Magicento extends PhpStorm goto functionality in a way that you can now use goto also for factory methods and templates. You can go to destination class from factory method by using middle click (Ctrl+click, Ctrl+B). Also, at the same way, you can go to any phtml template from layout xml file. Clicking at any Mage::dispatchEvent call brings you to observer definition for corresponding event. You can use Alt+M (Option+M) to assign class for certain object that is defined through factory method. That is very useful for code completion. Click Alt+M (Option+M) -> Create Module anywhere in a file to save time while creating Magento modules. More about Magicento features and installation you can find at official Magicento website. I hope this post will be useful for all Magento developers that use PhpStorm. Yes it seems to work under PhpStorm 6.0. Magicento 1.6 is cool. Funny that magicento turned me on to phpstorm which i now believe to be the best php IDE i ever used. 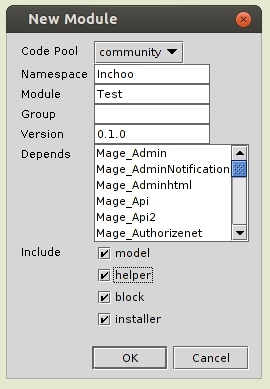 Does anyone know if magicento works with phpstorm 6 as well? I don’t want to update before i know it works properly. There are lot of features include for Magento development like autocomplete for factories, xml files and class names, documentation for xml nodes, evaluation of PHP code inside Magento environment. Thanks Zvonimir for sharing this. How I comment on magicento.com, the plugin was developed for PHPStorm because is the IDE that I use, I don’t have any special relation with Jetbrains (moreover I’ve paid their IDE like everybody). Please check the videos on magicento.com to see the full list of features and how to use them. Using phpstorm, xdebug and magicento now for a while, i love it. you are right this kind of integration is what makes people love IDE like VStudio. I switched to PhpStorm because of Magicento. This is awesome plugin, that can save a lot of time! I use PHPed. For now it gives me everything I need. I was thinking about something like that some month ago.